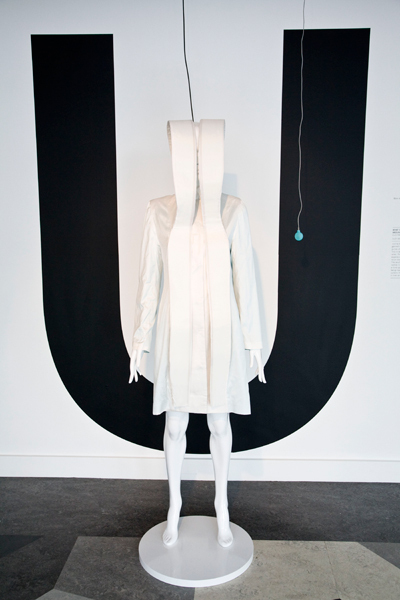 This wearable, responsive garment turns the intimate breath of the wearer into pulses of light. 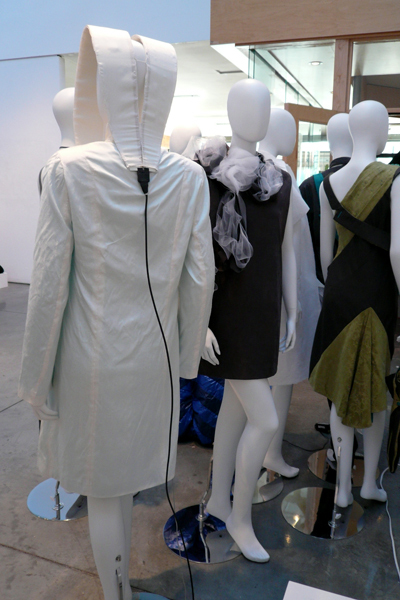 The inhalation and exhalation of the wearer activates a breath sensor that dims and brightens the printed LED of the garment. The wearer is engaged in an altered state of perception, bathed in the electric aqua light. 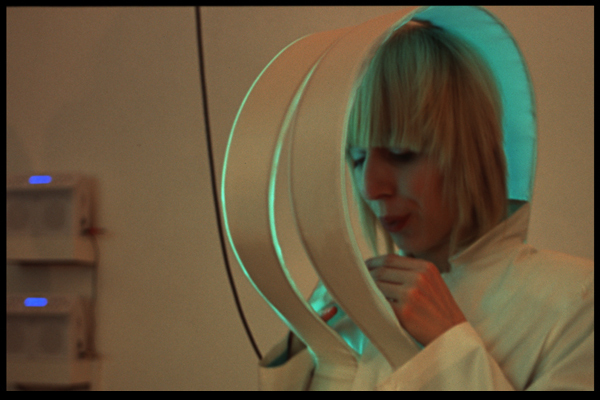 Electric Skin is a hybrid object/performance that questions divisions between ‘subject/object’ ‘inner/outer’ and ‘mind/body’ and creates an experience of that liminal space that is neither inside nor outside, but is a third space inbetween. The wearer is connected to the national grid by an umbilical cord/power cable, and while this creates a seductive light, it also creates a frisson of danger and unease. 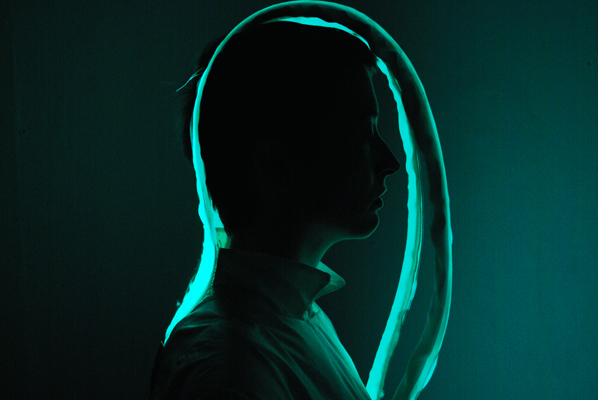 Electric Skin from Suzi Webster on Vimeo.